The Nutrition Program of the Department of Natural Sciences brings together medical and health experts to raise awareness of celiac disease. 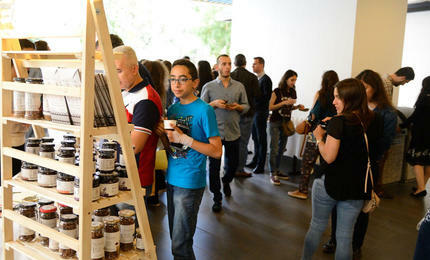 Gluten-free products were displayed and offered to participants as the conference ended. Gluten and Health was the topic of the first panel. 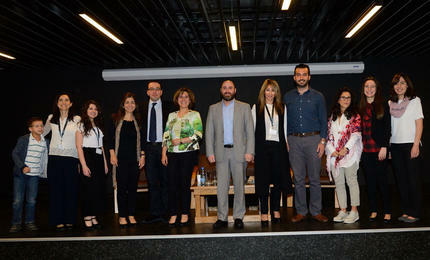 Panelists and organizers get together for a group picture. 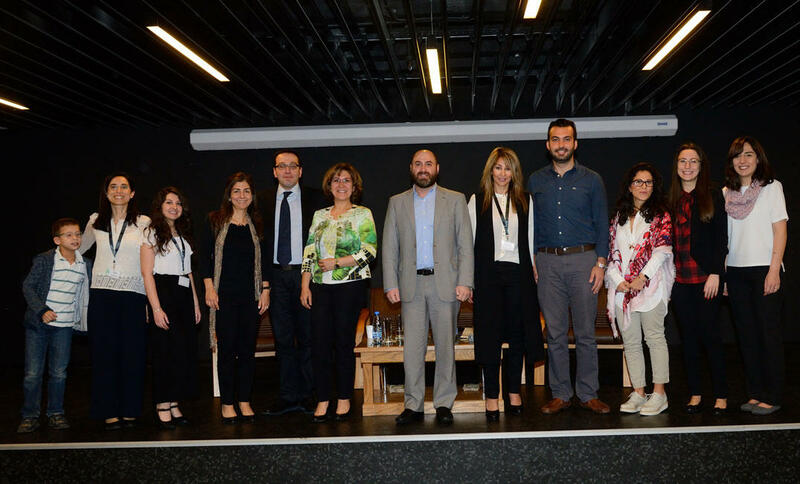 Last month, LAU hosted medical experts and health professionals in an awareness and nutrition conference on celiac disease in cooperation with the Lebanese Celiac Association. 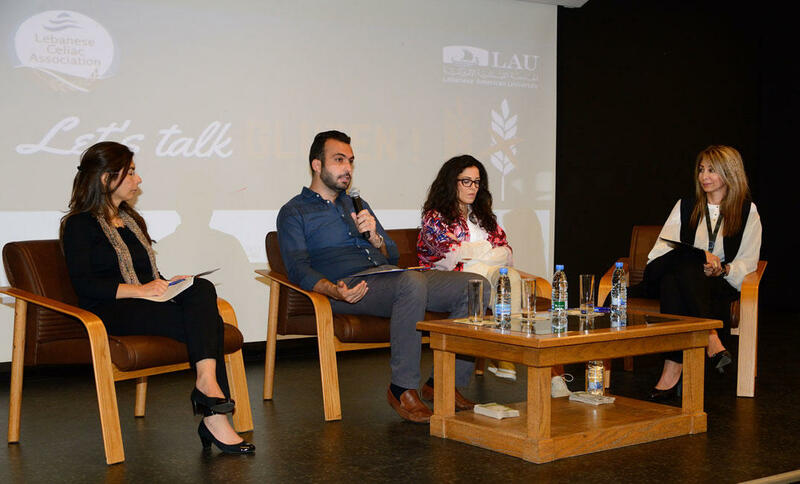 Taking place at LAU Beirut’s Wadad Sabbagh Khoury Student Center, “Let’s Talk Gluten!” welcomed medical experts and nutritionists to discuss the difficulties faced by those diagnosed with the genetic autoimmune disease in Lebanon. “Because Lebanon is so small, people feel it’s taboo to say they have celiac disease,” said Alice Saab, vice president of the Lebanese Celiac Association. “We’re also putting on this conference to show the sufferers from the disease that they’re not alone. We’re in this together, we need to let others know about us, and we need to know that it’s safe for us to eat when we go out,” Saab added. Those diagnosed with the disease are unable to digest gluten—a protein found in wheat, barley and rye. Following ingestion, common effects include nausea, vomiting, and chronic diarrhea. 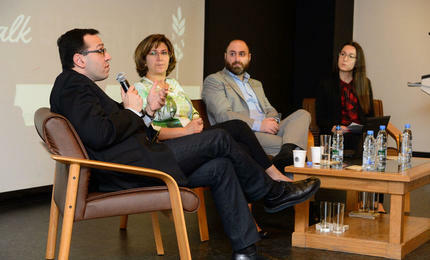 While research is currently ongoing to find a treatment for the disease, Dr. Fady Daniel, assistant professor of Internal Medicine at the American University of Beirut Medical Center told the audience that a cure was a “long way away.” For the time being, those diagnosed must adhere to a gluten-free diet. While the physical symptoms of the disease are more familiar to the public, co-panelist Dr. Michel Nawfal, clinical psychologist at Nawfal Clinics, underscored the lesser known, yet critical, correlation of increased mental health issues for celiac sufferers. “Forty-two percent of adults with celiac disease also have mental health problems,” Nawfal told the audience, expressing the crucial need to incorporate mental health into the conversation. Anxiety, he noted, was the most prevalent issue among the younger community. While gluten-free foods are becoming readily available in the local market, the experts warned against the misuse and abuse of the gluten-free label. Hussein Hassan, assistant professor at LAU’s Natural Sciences Department and co-organizer of the event, added that, according to a recent study he conducted and published in the International Journal of Food Sciences and Nutrition, 19 percent of products labeled as gluten-free that are marketed in Lebanon in fact contained gluten and in 6 percent of these products, the quantity of gluten exceeded the upper limit. He attributed this fraud to the lack of monitoring at the national level. According to Lena Mansour Haddad, chief pharmacist at LAU Medical Center-Rizk Hospital, another unexpected risk to watch out for is orally ingested medicine. “Unlike the food industry, medicine is not regulated by the FDA,” she said. Despite the lack of labeling in medicine, and unbeknown to users, the drugs contain common traces of gluten from food coloring and fillers. Despite the limited awareness of the disease among the Lebanese community, Hassan noted that there was a growing consciousness, and that LAU was a driving force behind that. Consult a dietitian to open up your food options.